The A/C compatible and compact renewable units, designed for a variety of lifestyle uses include home protection (closets, bedrooms, kitchens, basements, etc.) against mold, moisture and mildew, in additional to home and lifestyle applications such as recreational vehicles, watercraft cabins, boats and gun safe storage. 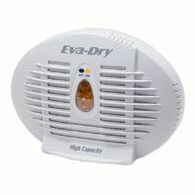 "Eva-Dry products are designed and manufactured to the highest quality and consumer standards. We are a leading manufacturer of compact dehumidification systems and offer our retail customers the best value combination of quality, affordable pricing and dedicated customer service." 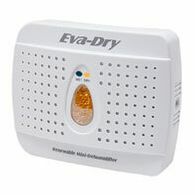 The evolution of the Eva-Dry line of dehumidifiers has grown tremendously over the past decade. Through a combination of successful online and retail distribution, they have built their brand in much the same way large nationally known retailers have built their distinctive hallmarks of success...through unwavering employee pride and a boundless entrepreneurial spirit.